Home Precision Medicine Research Direct-to-Consumer Genetic Testing: Will It Go Away? 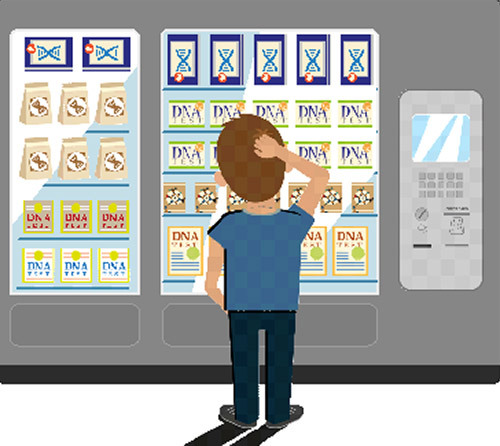 Direct-to-Consumer Genetic Testing: Will It Go Away? The NIH defines direct-to-consumer genetic tests (DTCs) as those aimed at consumers via television, print advertisements, or the Internet. Also known as at-home genetic tests they provide access to a person’s genetic information without necessarily involving a doctor or insurance company in the process. Causing controversy among healthcare professionals and heavily marketed by the companies that provide them, the tests prompted concern among healthcare professionals, such as the American College of Medicine Genetics board of directors, which said in 2004 that due to complexities of genetic testing and counseling, the self-ordering of genetic tests by patients could potentially cause harm. Potential pitfalls, according to the organization, include inappropriate test utilization, misinterpretation of test results, lack of necessary follow-up, and other adverse consequences. The widespread availability of these tests offered by multiple companies, including 23and Me, Decode Genetics, DNA Direct, and Genelux to name a few, had driven consumer demand and interest.